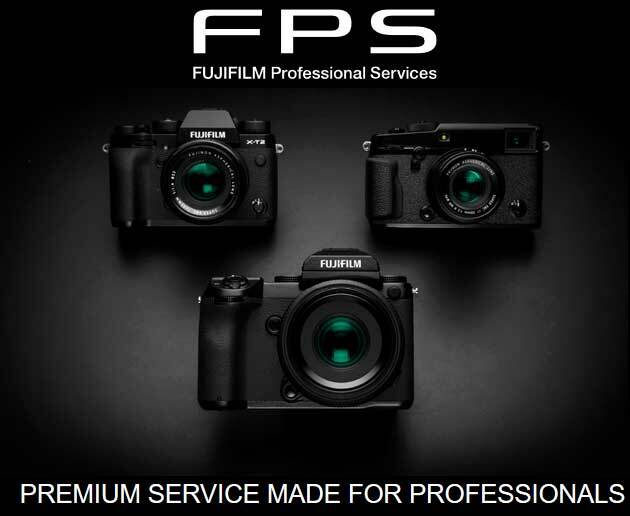 Fujifilm Australia has finally launched a free professional service program, which offers dedicated support for photographers with select camera bodies and lenses. Fujifilm joins Nikon, Sony and Canon in offering its Australian professional photographers an exclusive support program, with Olympus most likely not far behind. When comparing each pro support program, only the Fujifilm and Nikon pro services are free. Fujifilm Professional Support (FPS) provides eligible photographers with two- (for GFX) to three-day (X-series) repair turnaround times; loan gear if repair times are not met; expert assistance via a dedicated telephone number and e-mail address; and two annual health checks for Fujifilm gear. Two free health checks include a sensor clean, along with a body or lens focus check, exposure check, viewfinder check, as well as examination of white balance, output, an external clean, and other functions such as firmware updates and battery consumption. The FPS membership lasts for two years. Fujifilm has been pushing hard into the premium camera market with its GFX medium format and high-end X-series cameras, but pro support affirms a manufacturer’s commitment to professional photographers. Until now, a professional photographer experiencing tech issues with a $7-10K GFX camera may have had to deal with a consumer-oriented offshore call centre. Then waited weeks for a repair. That’s not ideal when there’s a livelihood at stake. Pro support may just be what finally entices a photographer to join ‘the Fuji ecosystem’. Australian photographers will be interested to know that the American GFX FPS program costs US$499 per year, whereas here it is free. Although the US version offers more benefits, such as 30 percent discounts for out-of-warranty repairs, four check-and-clean vouchers, and a trendy Fujifilm ‘swag bag’. Click here for more info on FPS. Full-time working professionals earning the majority of their income from photography, and who have purchased at least one qualifying body and one qualifying lens (refer to a. and b. above). Professional photographers must contact FFAU to demonstrate their professional credentials. FFAU reserves the right to ask for evidence (invoices, letterheads, receipts, for example) to prove that the applicant is a working professional.